Last day of hiking and our luck had eventually run out. Outside it was pouring and the gloomy horizon wasn’t showing any sign of improvement. Originally, we had planned to hike back to Monodentri through Vitsa but even though we could still go—rain or not, we just preferred to take it easy for the last day. The new arrangement was to go Monodentri by car and visit two of the village’s highlights. The half a millennium old monastery of Agia Paraskevi and the unique Rizarios school of handcrafts. Manthos and his brother Georgios Rizaris were born in Monodentri but made their fortune as traders in Russia. By being members and benefactors of the “Friends’ Society”—a secret organization which initiated and supported the Greek revolution in 1821, they actively helped the country’s liberation from the Ottoman Empire. The two philanthropists also helped many victims of that conflict and took many orphans under their wing. Part of their legacy is the Rizarios Ecclesiastical School in Athens which opened after they passed away. 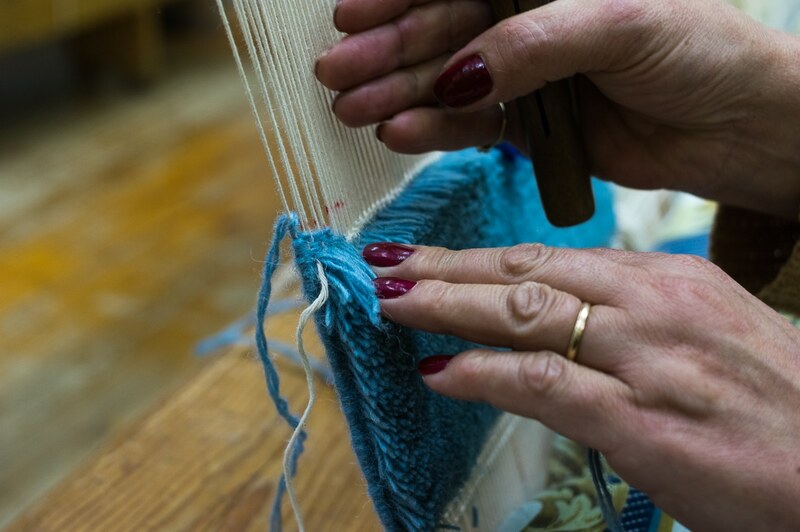 The handcrafts school in Monodentri was founded in 1979 by the Rizarios Ecclesiastical School Foundation in order to protect traditional crafts like weaving and needlework from extinction. By teaching young girls, the school ensures that the tradition will go on and that these girls will be able to work and make a living out of it. Jenny who we met in Tsepelovo, opened the school’s doors and showed us where students live and work for the three years they spend there. Two as trainees and one more practicing the crafts. One of the students demonstrated to us how a traditional loom is used for weaving and how the patterns are made on the textile. 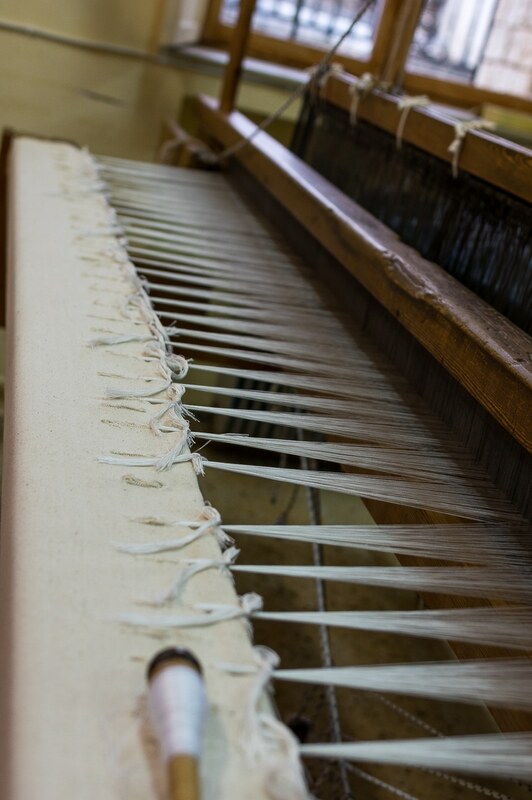 It all starts with a number of yarns or threads which are placed vertically on the loom and their weaving with another yarn which the student was passing above and below the vertical yarns in succession thus making the weave line by line. A very delicate work which needs a good set of eyes and a lot of patience. 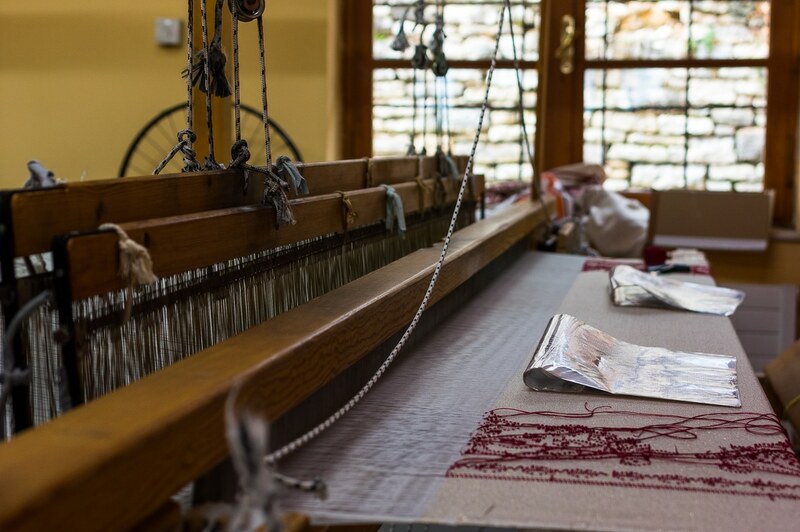 The textiles and fabrics made out of this process are then used to make everything from clothing to bags and even golden threaded priests’ vestments. 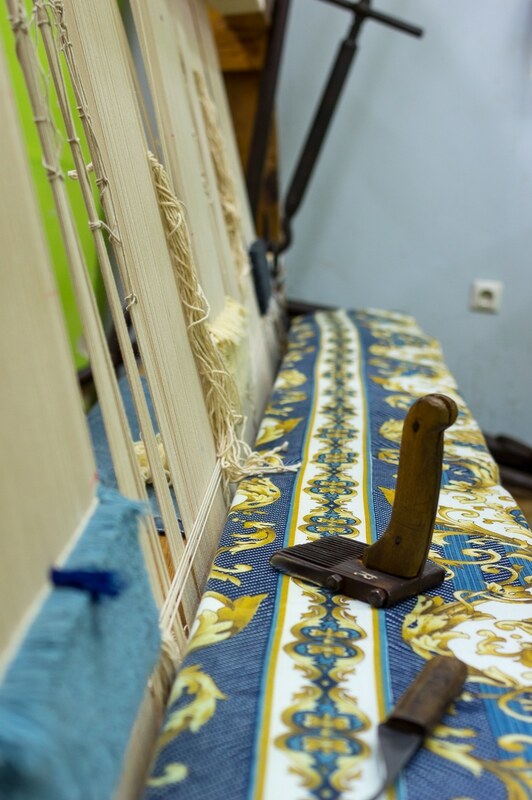 Next was the carpet making which is similar but instead of making it line by line the girls have to do it knot by knot. Jenny took a piece of thread and made a knot on two vertical threads with it. The knot holds the base (vertical threads) together while its two loose ends form the carpet itself after they are cut to proper length. Many people including me think that the thicker a carpet is the more knot density it has, but that’s not right. To increase the knot density someone has to use thinner threads thus making more knots per square meter. Thickness is adjusted by the length of the knot’s ends. Needless to say that Veronika was thrilled by watching all this, consequently we went to the school’s showroom where she bought a beautiful backpack. The price was fair considering that it was all made by hand. 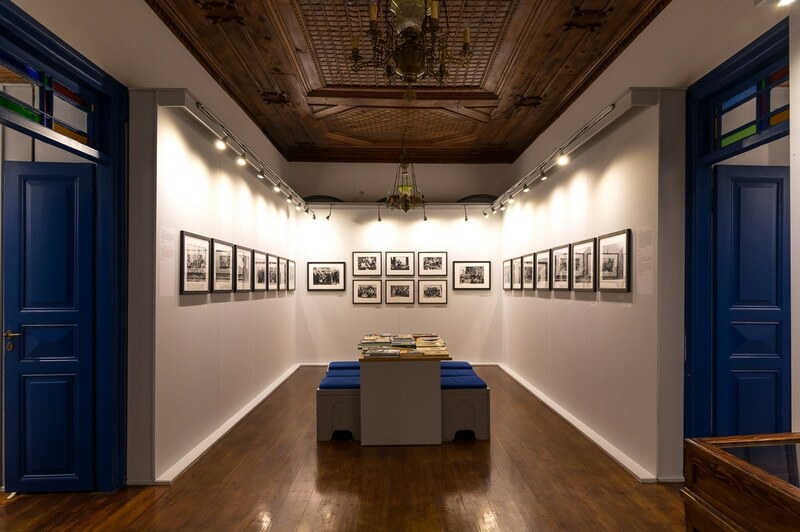 Not far from the school, Rizarios exhibition center was hosting an amazing photographic collection featuring local photos from the end of 19th century and onwards. The fact that the locals were amongst the wealthiest people in Greece meant that they could afford photographs consequently there is a vast amount of photographic material which is rare for the Greece of nineteenth century. What is even greater is that the Rizarios foundation made a great photo book featuring the best of them, which was for sale and of course I couldn’t help but get a copy. 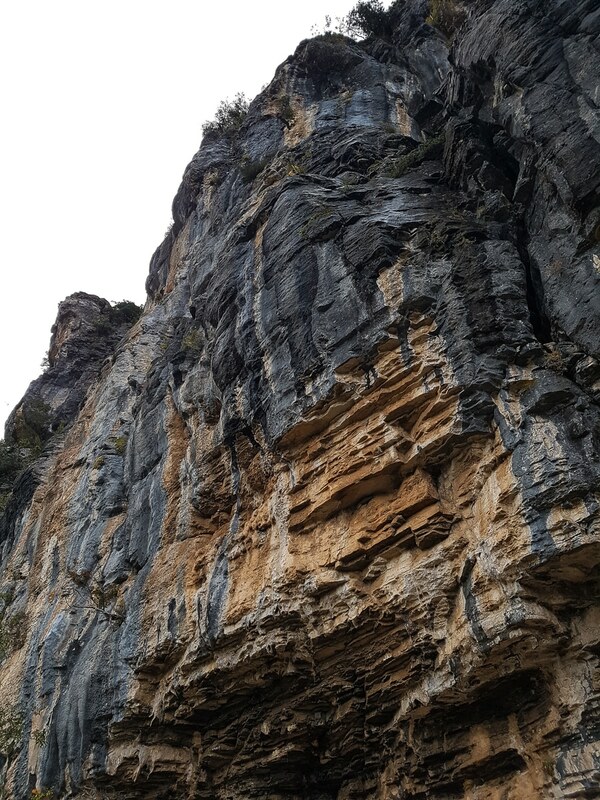 This fort–monastery was built next to Monodentri on a long and narrow ledge of the west Vikos wall in the beginning of the 15th century. Even before that, hermits were living in the surrounding caves not far from there. 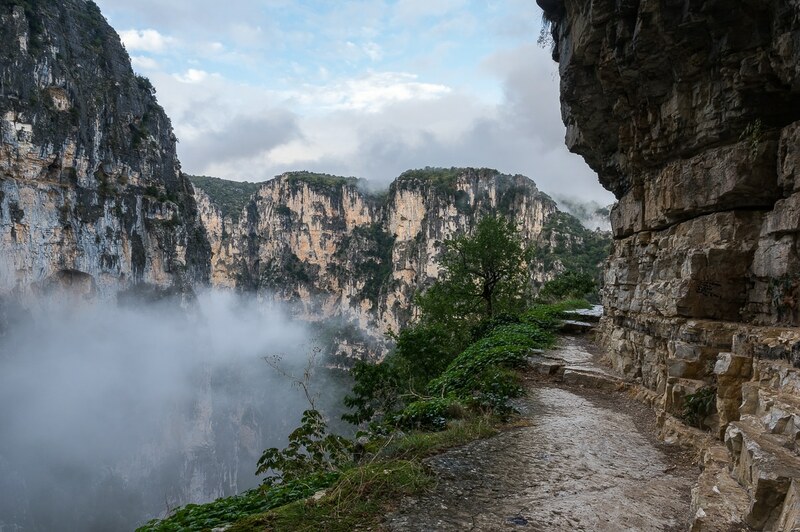 It is built like a corridor, between the vast wall to the left and a 500 meter cliff to the right. 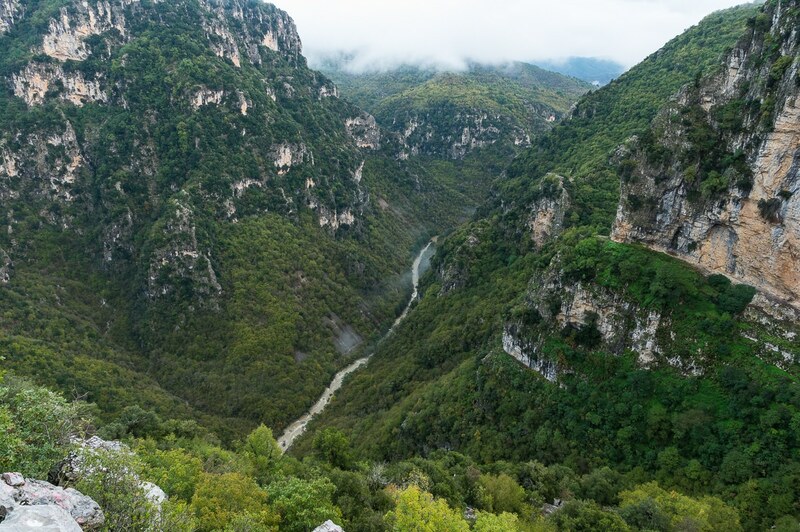 At the end of it, is a small balcony which acts as a view point to Vikos. It was not as impressive as Beloi but still it was gorgeous. Voidomatis river was muddy brown from the last rainfalls and everything around it was green and orange. 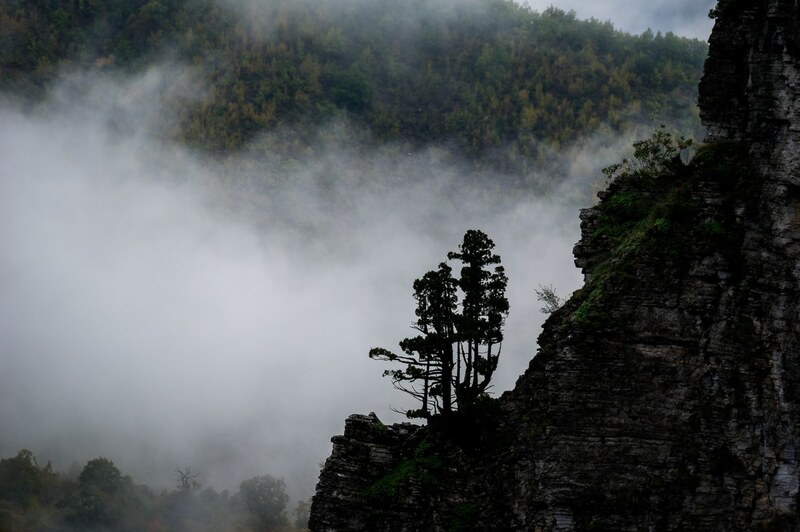 This was the last of a series of amazing landscapes we would enjoy in Zagori. In the middle of the monastery a stone staircase led to the caves which were not far from there. The small trail is definitely not advised for people who have fear of heights. It was less than two meters narrow at some points and there was a gap at some point which was bridged with plain wooden planks. Not for the fainthearted. The only real danger was rock falling which especially during and after a rainfall is eminent. It was still dripping at the time so we decided it was too risky to move beyond the planks. Maybe next time. 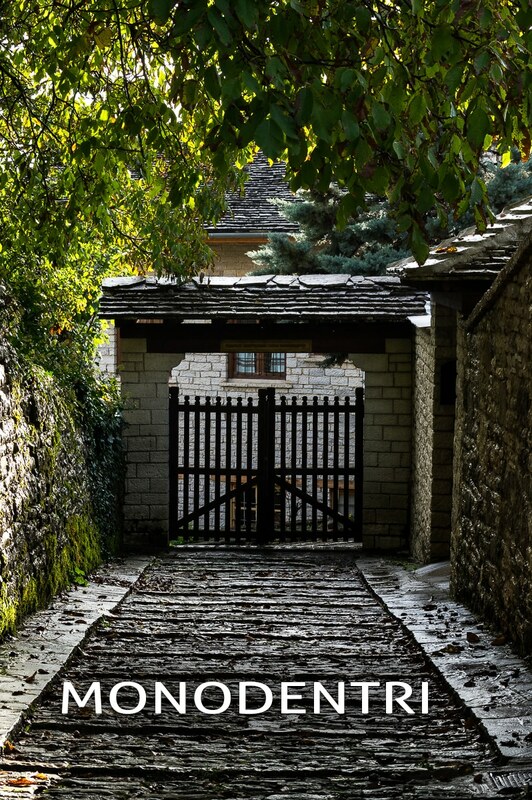 And that was the finale of our beautiful adventure in Zagori. Definitely the best seven days I have spent away from home. The trip didn’t just reach our expectations, it went beyond. 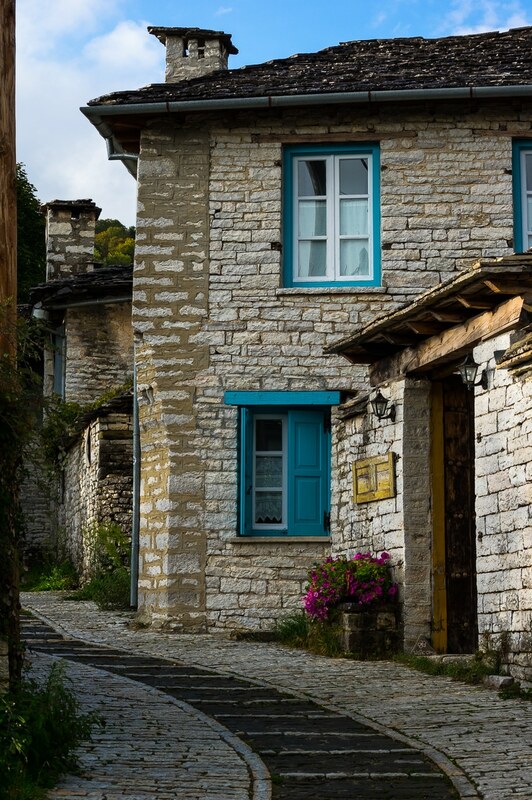 Zagori is a one of a kind and the fact that this uniqueness comes with a great price tag and the lack of overcrowdedness makes it number one destination in Greece for me right now. I definitely recommend it, even for people who don’t want to walk or hike but just to spend a peaceful week in its forty six villages and taste an amazing cuisine and culture. Absolutely amazing. Thank you so much for sharing your wonderful experience. And the photographs are fantastic. In what time of the year have you done this trip? Is it suitable for the the end of march? Maybe, it depends where you want to go. If you plan climbing Mt. Tymfi there will probably be snow and the temperatures will be low. Also the refuge on Astraka will be closed which means that you will have to get down on the same day. Rain probability is pretty high on March too.